Say goodbye to cold hands with popsicle sleeves! Slide your ice pop or frozen yogurt tube into a crochet sleeve and enjoy a cold treat without freezing your fingers!! 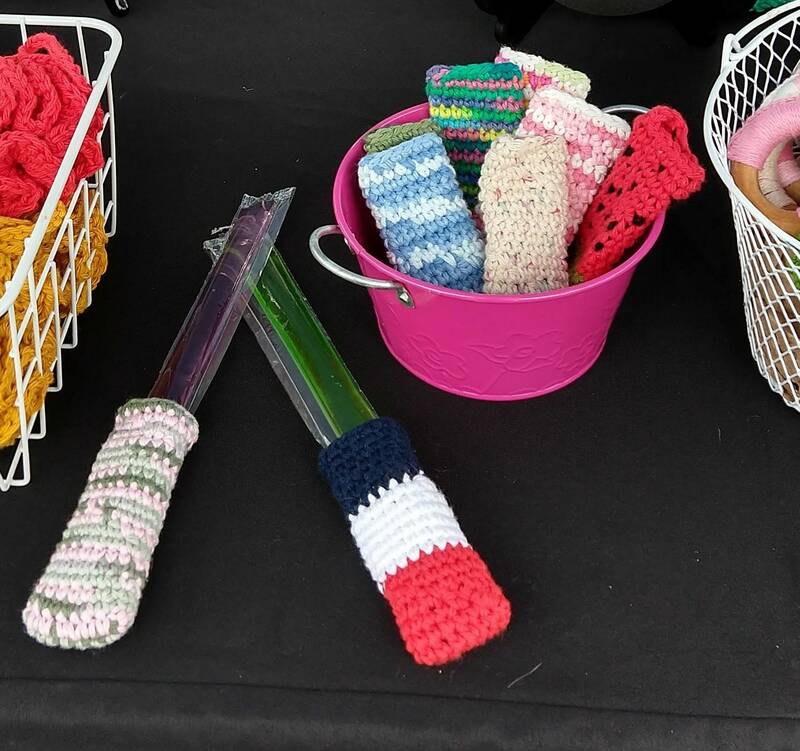 Crochet popsicle sleeves are made with with washable cotton yarn in a variety of fun colors! They are a great eco-friendly way to keep little hands from getting cold while enjoying a popsicle or frozen yogurt tube. If they get messy, just rinse with warm water and air dry - or for those big messes toss them in the wash for super easy clean up. Looking for a package of popsicle sleeves for large families or party favors? Request a custom order and we can create the perfect set for you in any colors and quantity! If for any reason you're unhappy with your purchase, please return it to us within 7 days for a full refund. Textured Crochet Hat in Messy Bun, Beanie, and Slouchy styles - more than 30 color choices in every size! Beautiful little hat. It was just perfect. Crochet Snowman Hat - Baby through Adult sizes! I ordered 24 and everybody love these. Those would make a great gift for any body. So much better than water balloons and no mess to clean up afterwards! Crochet Reusable 'Water Balloons' - Set of 12, tons of fun color combinations to choose from! Love this product! Fast shipping! Everybody had so much fun with these at my son's 4th birthday pool party! Yes! If you need something right away, please contact me so that we can discuss your needs. I am glad to rush your order and offer faster shipping at your request and expense. Long Crochet Red White and Green Christmas Holiday Hat - All Sizes! Slouchy Hat with Newsboy Brim - Choose from more than 30 colors!